Business Units from 500 to 2900 sq. ft. Rents from £2,500 to £12,400 p.a. Crookedholm lies at the eastern end of Kilmarnock, the principal settlement in East Ayrshire. 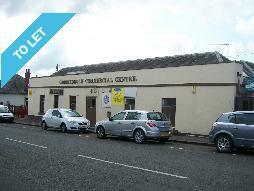 The Centre lies less than 1/2 mile from the A71 Kilmarnock- Edinburgh road and 1 mile from the A (M) 77. The accommodation in most suites is largely open plan but some are partitioned. Smaller units share in the common toilet blocks with larger units having separate facilities. All mains services are laid in to the building. Street parking is readily available but, in addition, there is limited private parking to the rear. Unit 3a – £3,500 p.a. Unit 4a – £3,500 p.a. 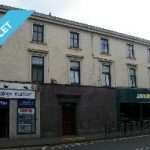 Unit 6a – £2,500 p.a. Unit 8a – £4,000 p.a. Unit 3 – £3,500 p.a. 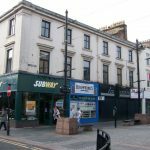 Unit 2a – £2,900 p.a. Unit 3a – £1,000 p.a. 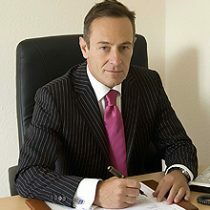 Each party will be responsible for their own legal fees with the incoming tenant being responsible for any legal costs. No VAT is currently charged on rents.